Australian prodco Essential – behind such shows as Rake and Jack Irish – is spreading its wings internationally. DQ looks at the company’s story so far and gets the inside track on its forthcoming content. Australia’s Essential Media and Entertainment is going global. The prodco is developing a raft of dramas intended as coproductions with international broadcasters and distributors. The list of potential partners is impressive – Ian Collie, partner and head of drama at the firm, is discussing numerous projects with the BBC, Channel 4, Lifetime, Sundance Channel, StudioCanal and other broadcasters and distributors. “We are developing drama projects that are international in scope and would or could work more for those markets than for home broadcasters,” he says. The plan is to expand the company’s slate from locally commissioned dramas such as Jack Irish (top) and Rake (both for Australian pubcaster ABC) and The Principal (for SBS). The internationally targeted slate includes Trust and Arc of Fire. The former has Rake’s Richard Roxburgh attached to star as a charismatic cult leader, a former corporate high flyer who creates a grassroots movement of followers who are perceived as a threat to the established order. Sarah Lambert (creator of Playmaker Media’s Love Child) came up with the concept and will write it alongside Blake Ayshford (Devil’s Playground, The Code, Nowhere Boys) and Kris Mrksa (Glitch, The Slap, Janet King). Arc of Fire is being developed by Australian author Peter Temple (who wrote the Jack Irish novels and The Broken Shore, the latter adapted as a telemovie by Essential for the ABC) and Mrksa. It’s an international manhunt thriller set in a world where everyone is under surveillance, based on Temple’s novel In the Evil Day. Two other projects being pitched to international broadcasters are Eden, an eco-thriller surrounding a biotech company in Tasmania, created by Brisbane-based writer Anthony Mullins and Collie; and Open Heart, a psychological thriller about organ transplantation, on which Collie is collaborating with producers Vicki Sugars and Claudia Karvan. “Although the demand for TV drama in Australia is high, somewhat paradoxically it is harder to get shows away,” Collie says. “Broadcasters like the ABC and SBS are experiencing budgetary cutbacks, as are the federal and state financing agencies, and there are more players in the drama arena, so competition for slots is fierce. Essential’s scripted push in the US is headed by Simonne Overend, an Aussie who has worked for RGM Artist Group, the ABC, BBC4, Disney, Roadshow, Film Victoria and United International Pictures. Overend, the Los Angeles-based VP of drama development, is working with Monumental Pictures’ Alison Owen and actress Natascha McElhone (Solaris) on a contemporary miniseries inspired by the classic novel Little Women. Scripted by Jordan Roberts (Disney’s Big Hero 6), the show will follow four sisters during a military scandal as their family loses its fortune and finds itself at odds with the conservative and traditional society. The project was developed by Owen, director Julie Anne Robinson and Overend before McElhone came on board as a producer and the lead actress. The producers are looking for a pilot commission after the ABC network let its option lapse. Essential’s exports to the US have not been without problems. The US remake of Rake wasn’t renewed last year when the legal drama’s ratings on Fox plummeted after the premiere drew 7.1 million viewers. Peter Duncan, who co-created the original with Roxburgh, created the 12-episode US series, which was produced by Essential Media and Fedora Entertainment in association with Sony Pictures Television. With the benefit of hindsight, Collie believes broadcast network viewers struggled to warm to Keegan Deane, the sleazy criminal lawyer played by Greg Kinnear, because the character had few redeeming qualities. He thinks the show would have been more suited to a cable network whose viewers have an appetite for edgier fare. Duncan, who served as the showrunner with Pete Tolan, says “there were too many voices” involved in the production, typified by a casting meeting he attended where 23 people sat around the table. 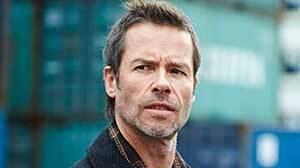 Meanwhile, the Fox network opted not to proceed with a Jack Irish remake after ordering the script for a pilot adapted from Essential’s trio of telepics, which starred Guy Pearce as a former criminal lawyer turned private investigator and debt collector. The plan now is to focus on the six-part Jack Irish series, which again stars Pearce with Marta Dusseldorp as Linda, Jack’s ex-wife, and is due to start shooting in August. “That will give us a better template from which we can renew our efforts for a remake,” says Collie, a former lawyer who co-founded Essential in 2005 with Chris Hilton and Sonja Armstrong. Head of children’s entertainment Carmel Travers became a partner in 2009. The series will introduce a love interest for Irish and see Linda, a journalist, sent to the Philippines on an assignment. Andrew Knight, Matt Cameron and Andrew Anastasios wrote the scripts, while the directors are Mark Joffe (House of Hancock, A Place to Call Home), Daniel Nettheim (Glue, Line of Duty) and Jonathan Teplitzky (Broadchurch). Knight is producing with Collie. ABC head of drama Carole Sklan says: “The tele-features had huge appeal for our audience and did such tremendous work in reaching a broader viewership that we spoke with Ian about the possibility of Guy Pearce coming back for an extended run. Production of the fourth series of Rake, meanwhile, is due to start in Sydney on September 28. “The great challenge is to keep surprising even more and to keep the audience on their toes,” says Duncan. From Essential’s origins as a producer of factual, which is still a mainstay of its business, the company has significantly expanded its drama slate, which started with Rake in 2010. One recent deal saw Stan, the subscription VoD platform co-owned by Nine Entertainment and Fairfax Media, which launched in January, announce a development deal with Essential for Enemies of the State. The six-part political drama is based on a controversial Australian High Court judge and attorney-general, the late Lionel Murphy, whose life was marked by assassination threats, scandal, police spies and charges of attempting to pervert the course of justice, of which he was acquitted. Stan is looking for international co-financiers for both Enemies of the State and a TV series based on Greg Mclean’s Wolf Creek horror movies, produced by Screentime and Mclean’s Emu Creek Pictures. “There is a huge amount of interest from overseas producers, distributors and broadcasters in Australian drama,” Ryan says. Meanwhile, the inspiration for Trust goes back some years to when creator Sarah Lambert was working in the US on a documentary about a quasi-scientific cult that was banned in France but had set up a base in Canada. “What struck me the most during the filming was how bright and relatively normal their followers appeared to be, despite devoting their lives to a leader who professed to have been taken by aliens, tithing their incomes to him and buying into a pretty out-there philosophy,” she says. “My fascination with what drives people to lose themselves in these groups has continued and, after years of collecting articles, reading books and watching docs on the subject, it seemed to me that there was so much great material to base a drama series on. Also on Essential’s development slate is Future Boy, a 6×30’ sitcom being developed with the assistance of state agency Screen NSW. The creator is Tristram Baumber, whose self-funded comedy series The Cleanists screened in 2013 on the UK-based cable channel Showcase. Baumber also created Timothy, a comedy special that aired on the ABC last October as part of a seven-day initiative in support of Mental Health Week. Future Boy follows a 22-year-old party girl living in a shared house who finds her hedonistic lifestyle turned upside down when her 45-year-old son from the future turns up. Essential’s scripted development producer Rachael Turk, who is producing, likens the show to a cross between The Big Bang Theory and Girls. Collie sees a favourable climate for producing drama for Australian and international broadcasters, despite budget cuts to the ABC and SBS and limited opportunities at the financially struggling Network Ten. The Seven Network, he acknowledges, is a “harder nut to crack” because much of its content comes from Seven Productions. “TV drama is healthy and, with more players like Stan in the market, we see more openings for drama,” Collie continues. “We always look for projects that have broad international appeal. For example, The Principal is in the crime genre and should be able to travel. Formats can sell more widely than finished programmes. 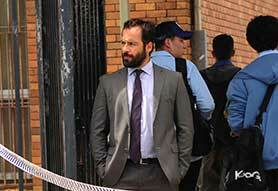 Alex Dimitriades plays the title character in the series, produced by Collie, which revolves around a high school in Sydney’s tough, multicultural south west. The principal’s attempts at reform are making headway until a 17-year-old student is found dead on the school grounds. The screenplay is by Kristen Dunphy and Alice Addison, based on an idea by Collie, Turk and, later, Dunphy, inspired by several real-life principals of Sydney schools. In February Essential opened an office in Queensland headed by screenwriter Roger Monk as a scripted development producer, funded by state agency Screen Queensland’s Enterprise program, which is also supporting Ludo Studio, Bunya Productions, Matchbox Pictures, Two Little Indians and Hoodlum. Monk, whose credits include Matchbox Pictures’ Nowhere Boys, December Media’s The Doctor Blake Mysteries and Every Cloud Productions’ East of Everything, is working with Essential’s Collie and Travers to source Queensland-originated stories and storytellers, develop and foster existing relationships with Queensland practitioners and provide a conduit to emerging talent. Children’s head Travers is co-developing Camp Crazy with Brisbane-based Carbon Media, a teen comedy drama series set in northern Queensland that will follow the adventures of six misfit teens who are thrown together in a remote destination to solve the ultimate mystery. On the feature film front, Collie is developing King of Thieves, a caper movie based on the true story of the infamous Australian ‘Kangaroo Gang,’ which fleeced millions of pounds worth of jewellery, fine clothes, linen and white goods from department stores in London in the 1960s and 1970s. It will be a coproduction with Trademark Films’ David Parfitt, whose credits include My Week with Marilyn, The Madness of King George, Shakespeare in Love and TV’s Parade’s End. The script is by Andrew Knight (who co-wrote Russell Crowe’s The Water Diviner and multiple episodes of Rake) and journalist Adam Shand, who authored the book King of Thieves: The Adventures of Arthur Delaney and the Kangaroo Gang. Federal funding agency Screen Australia has supported the development. With Ruby Films’ Alison Owen, Collie produced Saving Mr Banks for the Walt Disney Co., which raked in US$83m in the US and US$112m at cinemas worldwide. That respect is warmly reciprocated by the creative community. “I think you only have to look at Essential’s shows to understand their approach to drama,” says Lambert. 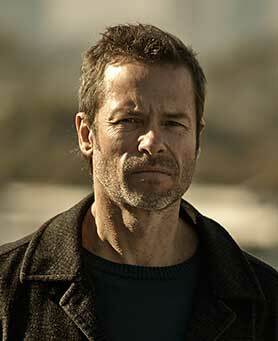 “Rake, Jack Irish, The Broken Shore and The Principal. They make shows that they would want to watch. They never talk down to their audiences. It’s sophisticated storytelling that’s brave, funny and smart. They’re not afraid to tackle complex subject matter and high-concept ideas. They’re really supportive of writers taking risks, always encouraging you to push the boundaries to produce your best work. Duncan’s association with Collie goes back to 2004 when he directed the ABC telemovie Hell Has Harbour Views, which starred Matt Day, Lisa McCune and Dusseldorp and was Collie’s first drama production. A former executive director of the Arts Law Centre of Australia and the Australian Directors Guild, Collie has a long list of factual credits including Australia on Trial, Whatever: The Science of Teens, The Making of Modern Australia, Rogue Nation, The Catalpa Rescue, A Case for the Coroner, Art House, The Shadow of Mary Poppins and The Original Mermaid. Broadcasters are similarly glowing in their assessment of Collie and his team. SBS’s Masters says: “As a former lawyer, for Ian there is no detail of the production that is too unimportant. However, his love for storytelling propels him to push the envelope creatively and he has unstoppable energy and vision in nurturing and showcasing the talents of the team he puts in place for a production. Sklan of ABC is similarly full of praise: “Ian and the Essential team are highly supportive of some of our most creative voices in television. Ian’s real skill is identifying highly creative and intelligent people and generating a process where they can do their best work. “On Rake they’ve enabled creator, writer, producer and director Peter Duncan to express his vision across the life cycle of the project, and supported Peter, Richard Roxburgh and Andrew Knight in bringing us a highly entertaining television series that often dazzles with its wit and inventiveness.